The memoirist’s dilemma of portraying friends, enemies & family. This is a continuation of my last post on crafting a truth-telling persona in memoir. 2. Writing about others is as challenging as pulling off one’s own persona. I am lucky in that my family members are tolerant. I write less, and less personally, about my children than my wife. Some details are matters of negotiation. My children are often surprised because they usually don’t even remember an event that was huge for me. That is the nature of memoir—it’s so personal, and even from the same event, everyone experienced and remembers things differently. My chipper answer later troubled me, because I was thinking of my situation and not what these students might be facing. And I realized that their situations might include living parents. My mother died during time I was writing my memoir, which mentioned our difficult relationship. She was tough and nails and wouldn’t have had the least problem with that. But Shepherd is more a daddy issues book, and I can’t even imagine having published it while my father was alive. Of course, much of it concerns coming to terms with his death, including the long shadow of his legacy. But telling any element of his story would have been off limits during his lifetime. That’s me. We do own our experience, I believe, but what we are willing and able to live with varies. The students’ concerns made me remember the big hurdle I faced in writing about friends and acquaintances in Shepherd: A Memoir. I found that some were disturbed or overly sensitive about being portrayed. It made them uncomfortable. Hence I ended up changing most of their names and identifying details in my book. Two events led to pseudonyms. The first was a stand-alone essay I crafted from the manuscript when my hired helper on the farm, a neighbor, died. We were very different but got along and worked together for years, and I spoke at his funeral. But when I proudly shared my essay with his widow, she was just puzzled by it. In her experience, apparently it made no sense. My pride turned to discomfort, almost shame. Then an acquaintance I shared the manuscript with objected to being described as having grown up as “a poor kid.” For years he’d been bragging to me in those words about himself. Seeing it in print, he roared, “We weren’t poor! We were working class!” So I thought, To hell with it. I gave him and almost everyone else in the book a fake name and physical description. The weird thing, especially in his case, was I began to write with much more freedom and truth. 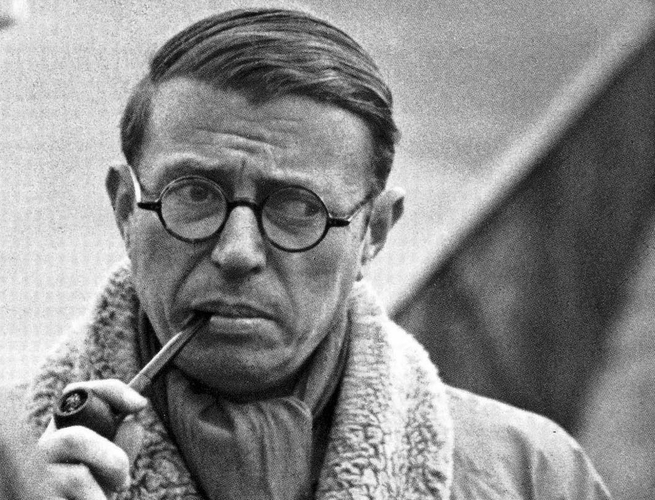 Both instances underscored that people are sensitive to being stared at—“congealed” as objects, as Jean Paul Sartre explains in Being and Nothingness. When you write about them, you reveal, inevitably, your staring appraisal. Or that’s how it can come off. As something not entirely sympathetic, for even the warmest portrait involves stepping back. Someone sees the gap between how he tries to come across—and hopes he does—and what others see. Or at least how one twit sees him. He was enormous, wide beard untrimmed, two streaks of gray in it, thick mustache that fell over his mouth, flannel shirt, top button ripped, thermal-underwear shirt beneath despite the heat, massive shoulders, massive arms, massive hands black with engine grease, massive chest pressing the bib of a huge pair of Carharrt overalls, legs like tree trunks, big leather shoes that looked to be shaped by a chain saw, unlaced, heavy rawhide dangling, one pant leg rolled up showing long johns. Bill prefaces the book with the information that the man is a composite of several backwoodsmen. And you can see why—and hope that that tactic works forever—given what a menacing fellow he turns out to be. He’s contemptuous of outsider Roorbach, and literally and figuratively trespasses upon him, but is hyper-sensitive himself about such matters, especially about Roorbach’s awareness that he’s a poacher. Obviously depicting real enemies or just bad dealings with someone taxes the memoirist. Even if the person in question is family and dead—because of repercussions among relatives. You may write as a writer but you live as a person. Despite stereotypes about the genre’s navel-gazing narcissism, the best memoirists manage to write a lot about others. And what typifies their prose isn’t vengeance but love. Love for certain others, love for the world. Yes! Especially to that last paragraph. Thanks for the Sartre connection and the idea of the stare. Memoir is difficult. My parents and grandparents have passed on so I feel free to write without offending them. Neighbors and tenants in our Chicago West Side rooming house may still be alive, so for those I’m not sure about, I’m using pseudonyms; Those I know have died, I’m using real names, unless they’re public figures (i.e., their names appeared in the papers, as in one case). My trickiest part is not about a particular person, but the racial changes I write about in our neighborhood half a century ago. I must write honestly about the attitudes of the time, but want to make clear, these are no longer viable attitudes, nor do I ascribe to them — and want to offer plenty of historical context. Thanks for the excellent post. Your project sounds fascinating, Linda. I bet that by using the perspective of you now you can write freely about attitudes you depict then. Best of luck. Hi, Richard. I think your strongest tool in writing about others was in fact the way that you wrote so very gently and humorously about the interactions you had with them. Most people would not like being parodied or made fun of from a strongly satirical point of view, as the public difficulties of many stand-up comedians and satirists show. But in a memoir like yours, in which the cultural differences and peculiarities of the area were part of your topic and reference, I think you handled it quite well by also making gentle fun of yourself as a sometimes clueless outsider. That way, the potentially critical readers who may see themselves in the book can see that each man or woman has his or her peculiarities, and is invited to see the naturally arising comedy in the relationships. Well done! Victoria, I appreciate your analysis of Shepherd. It is kind of you to say I succeeded at what I tried. Inwardly I will think, How discerning! Hi, Richard. I have been dormant in writing–no blog entries for over a year. Don’t want to go back. Those were mostly little book reports. Nor do I want to attempt a memoir–your journey has helped me to see how difficult that is. But I do want to reflect on some episodes–not for any audience but for me. At my daughters urging, I have begun a creative non-fiction “life-long learning” class at IU. Just six weeks, but at least I am writing again. Your entries on persona are helpful in getting some juices flowing. High praise! Thank you, Darrelyn. 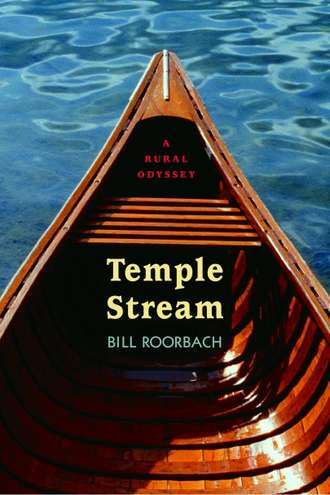 I just ordered Temple Stream for Andrew. He will love it! Interesting post. I would love to know what my relatives would write about me. Cool, Annette. I predict he will like it!